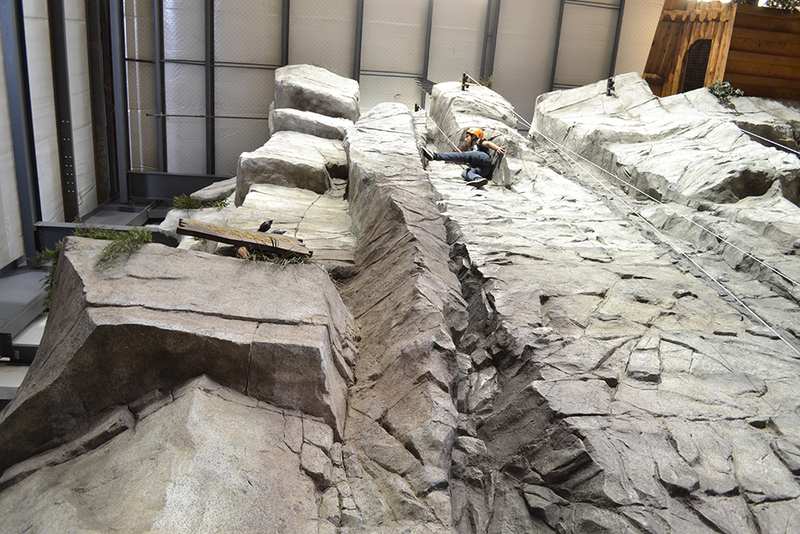 The Eagle Mountain Rock Climbing Wall at McDermont X is over 50 feet tall! 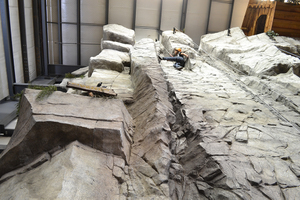 Instead of colorful foot and handholds, it looks much like a real mountainside: the grey, cragged peak is unmarked, and climbers must figure out their own ways to the top. We have 6 auto-belay cables with a bell to ring at the top of each line. A prize awaits you when you ring one bell, and you'll be given an even bigger and better surprise if you ring all six in one visit! 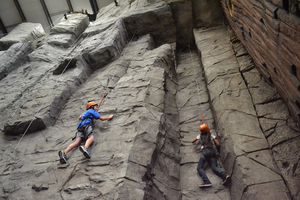 Premium and Deluxe McDermont Members get unlimited access to the Rock Wall or you can buy a Discover McDermont Day Pass and get access to all our great attractions! 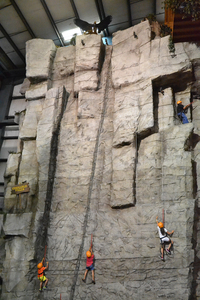 Interested in reserving or renting the Rock Wall for your group? 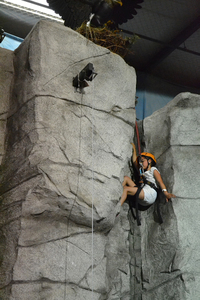 You can reserve the Rock Wall exclusively for one hour at a price of $200. Reservations can be made by calling (559) 562-3326.